We have a number of efficient and carbon neutral delivery options. 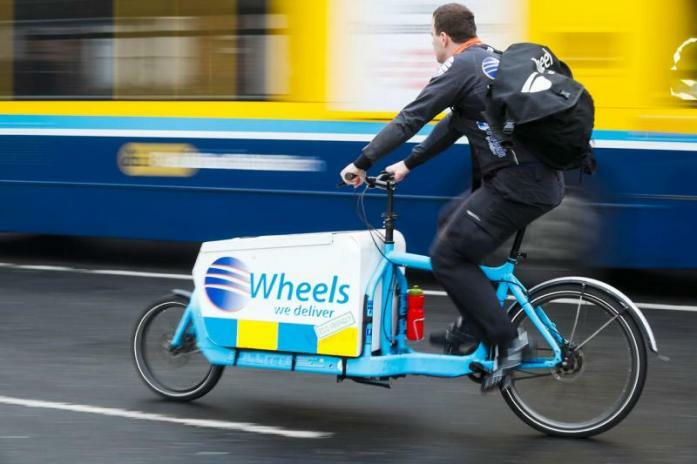 Wheels We Deliver operate Dublin’s largest fleet of Cargo Bikes. With their ability to carry loads of up to 25kgs, these eco friendly vehicles have seen our carbon footprint decrease dramatically since we introduced them in 2013. With traffic a constant issue in Dublin city, these bikes provide an efficient and carbon neutral alternative to using cars or vans. 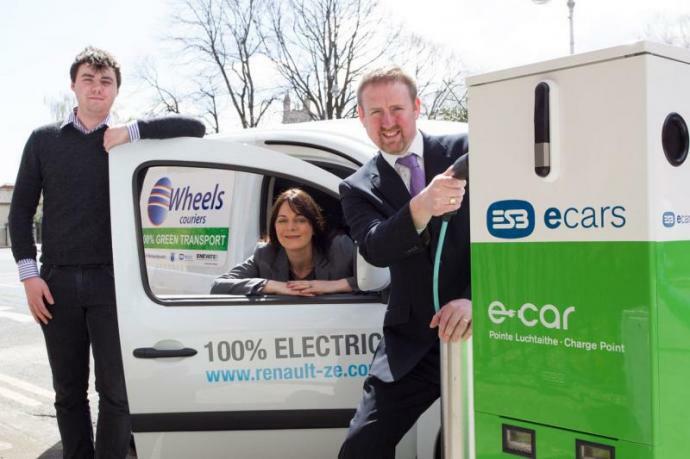 Wheels We Deliver in partnership with Electric Ireland, is currently participating in an EU funded project to assess the viability of light commercial electric vehicles in a city centre location by trialling a 100% electric Renault Kangoo van in Dublin city and county. ESB installed a charging point and smart meter at Wheel Dublin office. The data collected will enable an assessment of the savings to be made in the running and maintenance costs in comparison to their internal combustion engine vehicle counterparts. The trial is being conducted in conjunction with the Department of Transport Engineering at Dublin Institute of Technology, which is responsible for the implementation and management of the pilot project focusing on Dublin City Centre in particular.